(Bloomberg) -- The Liberal-National government has won a third term in Australia’s largest state, giving heart to their embattled federal colleagues who face their own tough election in May. 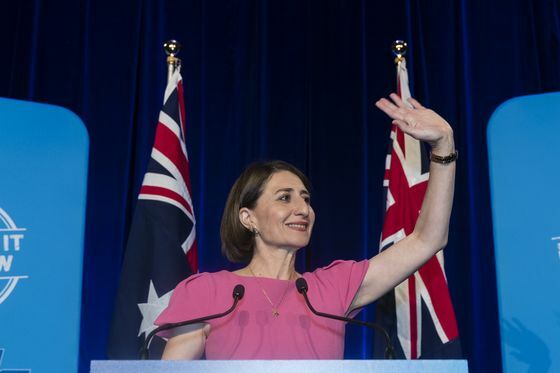 Premier Gladys Berejiklian became the first woman to be elected as premier in New South Wales on Saturday, after taking the leadership two years ago. While suffering a swing away from her coalition, vote counting on Monday showed Berejiklian has won enough seats to form a majority government. The victory comes as a relief to Morrison, who -- like Berejiklian -- has had only a short time to put his stamp on the leadership of a government seen to be struggling after two terms. The coalition will claim at least the 47 seats it needs to rule in a majority in the 93-seat lower house, Australian Broadcasting Corp. analysis showed on Monday after 75.9 percent of the vote was counted. The opposition Labor has won 36 seats, and minor parties and independents nine seats, with one still undecided, the ABC said. The victory will be welcomed by her Liberal-National colleagues in Morrison’s federal coalition government. He has struggled to gain traction with voters since becoming national leader in August amid party infighting, with opinion polls showing his alliance is set to lose to the opposition Labor party in May’s national election. While a bad NSW election result would have reflected poorly on Morrison’s national leadership, state polls are predominantly fought on local issues. 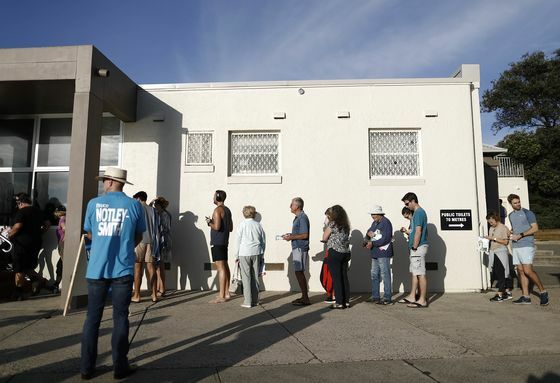 “People are not seeing this as a dry run for the federal election,” said political analyst Helen Pringle, from the University of New South Wales. The state election was a disappointment for Labor after recent surveys indicated it was neck-and-neck with the government. Labor leader Michael Daley, who is seen as having performed poorly in the final week of the campaign, announced his resignation as its head on Monday. But he said he will again contest for leadership in the party’s ballot, to be held after the federal election. The win gives Berejiklian four years to continue the state’s massive infrastructure and public-transport build. Most of the state’s nearly 8 million people live in Sydney and surrounding areas on Australia’s southeastern coastline. It also gives her more time at the helm of a state that has frequently topped economic indicators including growth, employment, construction work and household spending since the coalition took stewardship in 2011. Counting indicated Berejiklian’s Liberals largely maintained their support in Sydney, even as many voters in regional areas deserted her government’s junior coalition partner, the Nationals. Still, those rural voters didn’t direct their support toward Labor -- instead, the beneficiaries were small, right-leaning fringe parties such as the Shooters, Fishers and Farmers Party and One Nation. The victory will give Berejiklian, 48, a chance to put her stamp on the leadership. Cost over-runs to the government’s multi-billion dollar infrastructure spending on highways and public transport in Sydney appeared to have damaged her credibility, while outside of Australia’s largest city, some regional voters in the state bigger than Texas expressed concern they were missing out on the largess flowing into the state capital. The election outcome “was definitely a morale boost for all of us in New South Wales, and I think for the federal party more broadly,” Liberal senator Arthur Sinodinos told ABC television’s Insiders program on Sunday.